My family spends the whole summer at the beach – we put in full days and are armed with cricket gear, snorkeling gear and of course buckets and spades for heavy-duty sand constructions. 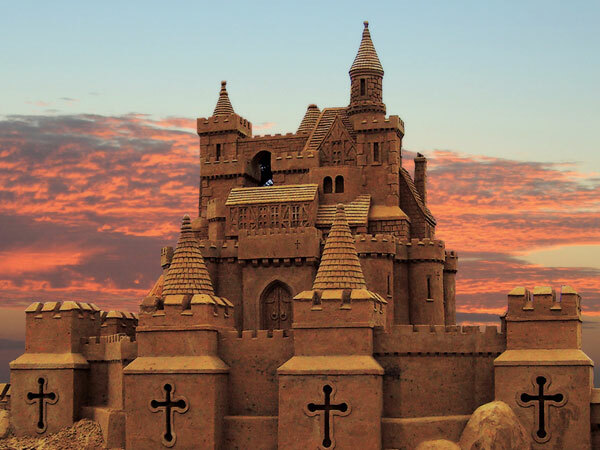 I like to think our sand castles are works of art but after seeing the creations from this team of sand-sculptors, I have a case of sand castle envy (and loads of inspiration for next summer). 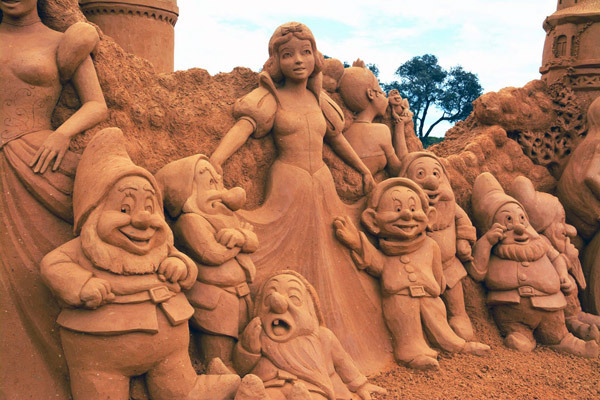 The team at Sand Sculpting Australia transform thousands of tonnes of sand into amazing sand castles, characters and more. Their creations pop up at various locations along the coast and this summer, they’ve taken over the Frankston waterfront on Victoria’s Mornington Peninsula to build the Friends, Foes and Super Heroes display. 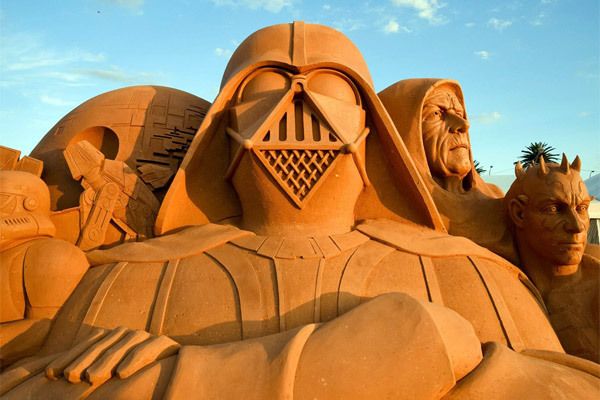 More than 3500 tonnes of sand was used to carve spectacular sculptures of Disney, Pixar, Marvel and Star Wars favourites. 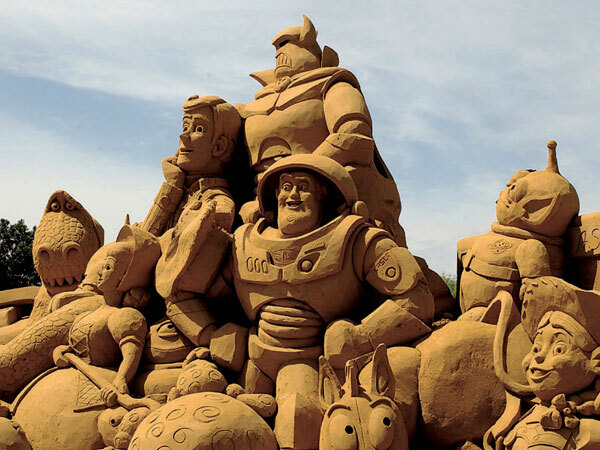 From Mickey Mouse and Disney princesses to Buzz, Woody, Lightning McQueen and Spiderman, kids will see lots of well-known characters built from sand. It’s not just kids who will be marvelling over the incredible detail – adults can’t help but be impressed and I’m fairly certain there will be a few grown-up Star Wars fans that will be planning their own attempt at a sand Darth Vadar (or perhaps something simpler, such as the Empire’s Death Star?). As well as the sculptures, the Friends, Foes and Super Heroes event also hosts a number of other activities including sand sculpting workshops so that you can really hone your skills; sand art; diggers; a giant sand pit and art activities. Friends, Foes and Superheroes runs until 26 April, 2015 and is open every day. Ticket prices range from $10-$13.50 with children under three-years-old admitted free. Family tickets are available for $40. But here’s our Sunday outing tip to you – if you head over today (15 February), kids of all ages are free for one day only! Make sure to grab the free Sand Sculpting Australia app before you go – it provides a guided audio tour and amazing behind-the-scenes time-lapse video of the sculptures being constructed. 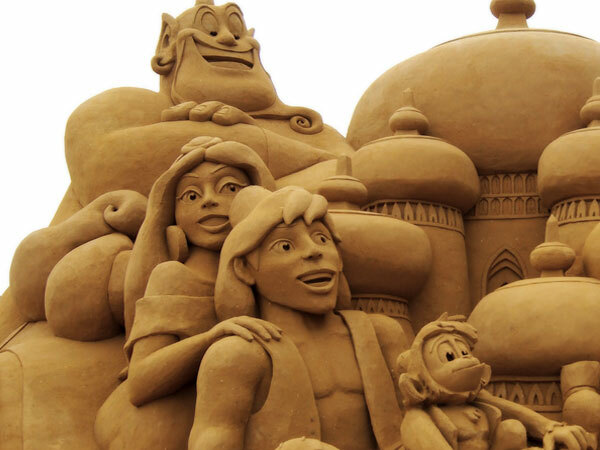 Sand Sculpting Australia runs events in a number of Australian states – next up, they’re heading to Port Noarlunga Beach in South Australia in April for a Princesses and Pirates exhibition.